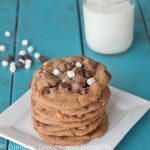 Soft Double Chocolate Chip Cookies – super soft and tender chocolate cookies that will literally melt in your mouth. 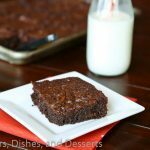 3 kinds of chocolate to make them extra delicious! 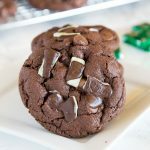 Do you make the same cookies every year for Christmas? We have a few staples, but then like to mix it up. Frosted Sugar Cookies get made every year, no matter what. Reese’s Fudge isn’t technically a cookie, but it is required every year. And then traditional fudge is a must in my mind. After that, we all get to pick 1 cookie that we want. It can be something new, or and old classic. 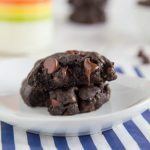 These soft double chocolate chip cookies might have to become a new staple. I have made them 3 times so far, and I don’t see that ending anytime soon. If I have to bring a dessert to an event, this is what I am bringing. At least for the next couple months, because I am obsessed. The dough only has 2 Tbls of butter. 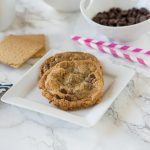 It is not your classic Chocolate Chip Cookies. The base really is melted chocolate. So they literally melt in your mouth. I use semi-sweet chocolate chips and they are definitely not too sweet. But if you love dark chocolate, this would be the time to get out the good stuff. Soft chocolate chip cookies are the best kind of cookie in my opinion. And the key to soft and chewy cookies is under baking them. You don’t want them raw, but you want to make sure they are not fully cooked when you take them out of the oven. If you let them sit on the hot baking tray, they will continue to cook and end up perfectly soft and chewy. 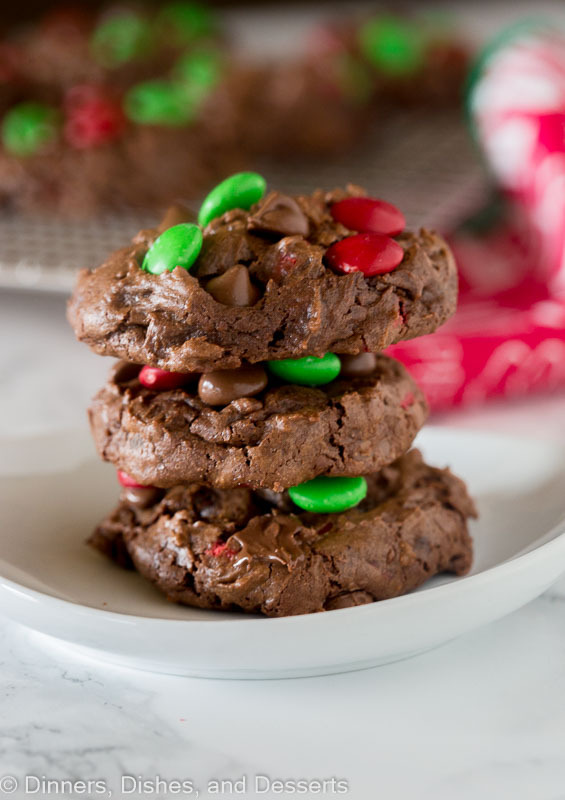 These are technically triple chocolate cookies because they start with semi-sweet chocolate, mix in milk chocolate and then you add M&M’s as well. Three kinds of chocolate deliciousness. 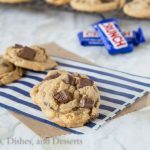 You can go all out and chop up your favorite milk chocolate candy to add to this, or use milk chocolate chips. I have done it both ways. 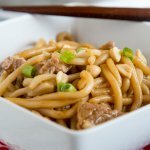 I found this recipe over at Baker By Nature. 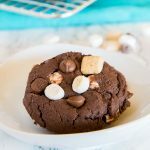 She has some of the most amazing cookie recipes. These Brown Butter Gingerbread Men cookies would be perfect for your Christmas cookie tray. Or these Frosted Gingerbread Cookies look so soft and delicious! 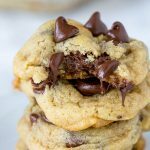 The really nice thing about these double chocolate chip cookies is you do not need to chill the dough. 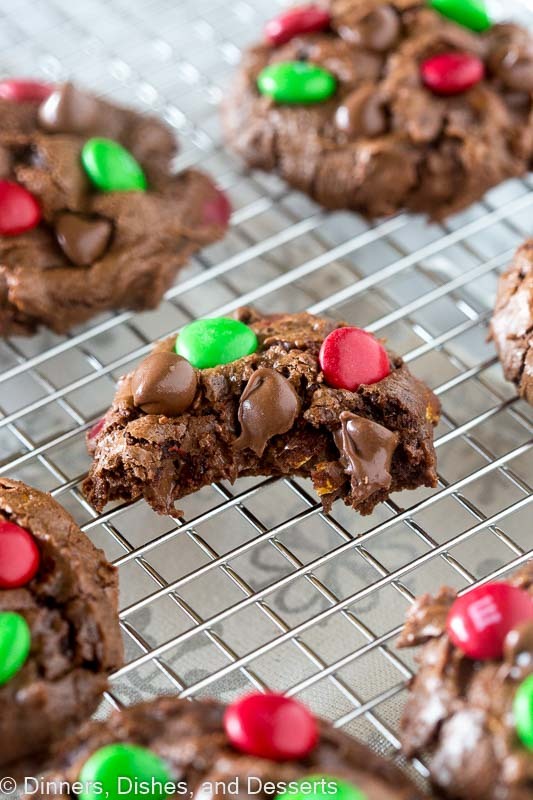 You just melt the chocolate, mix everything together, and bake! Chilling the dough would re-harden the chocolate and making scooping the dough nearly impossible. 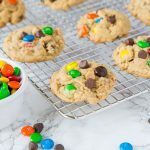 So if you want to make the dough ahead of time for these cookies, make sure to scoop the dough into balls, and freeze or refrigerate in that form. Trust me, you will thank me for that step. 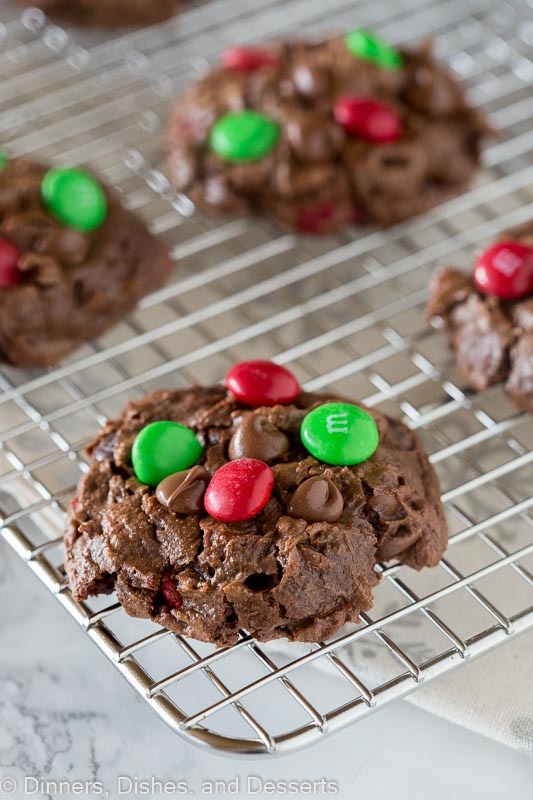 Now get in the kitchen and start making these double chocolate chip cookies. You will not be disappointed! 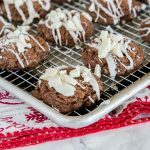 Soft Double Chocolate Chip Cookies - super soft and tender chocolate cookies that will literally melt in your mouth. 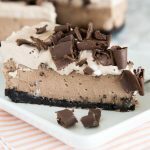 3 kinds of chocolate to make them extra delicious! 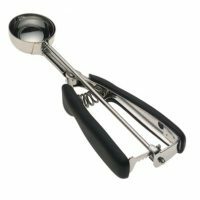 In a bowl whisk together flour, cocoa powder, baking powder and salt. Set aside. Using a double broiler, melt semi-sweet chocolate chips until smooth. Mix in cubes of butter. Remove from heat and whisk in vanilla, sugar, and brown sugar. Beat in eggs 1 at a time. Add milk and mix until well blended. Stir in flour until just combined, be careful to not overmix. 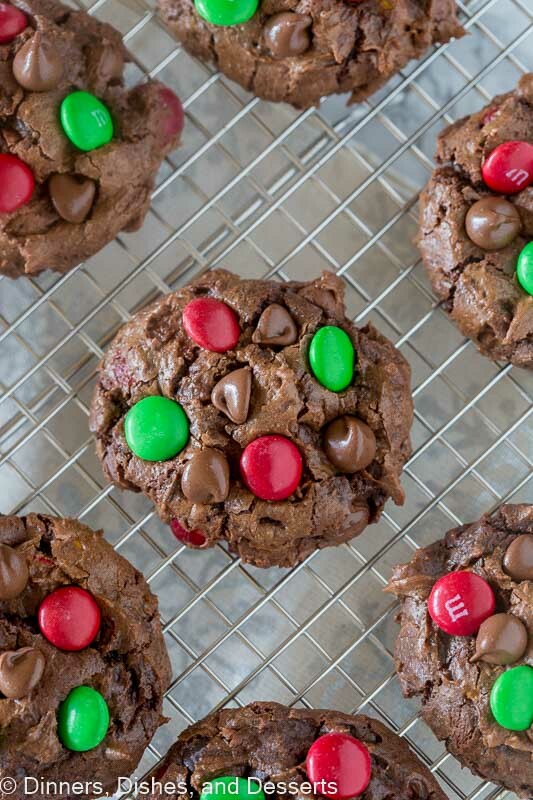 Fold in M&M's and milk chocolate. 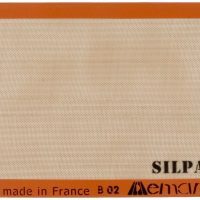 Scoop balls of dough onto a lined baking sheet. Bake for 10-11 minutes until the edges are set. 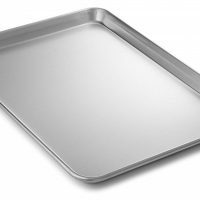 Remove from the oven and let set on the tray for 10 minutes while you bake the next tray of cookies. 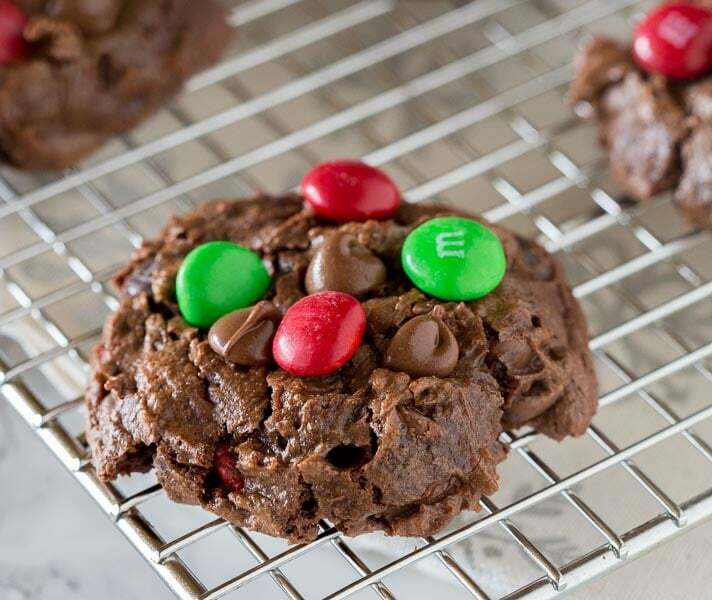 Press into the top of each cookie 3-4 M&M's and 3-4 chocolate chips. Once cooled, remove from trays and let the chocolate on top set up before putting in an air tight container to store. 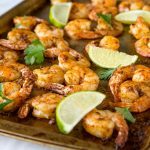 These look so moist and tasty, I want to try them so bad! These wouldn’t last long around here! I love anything chocolate! Cannot wait to try them out! 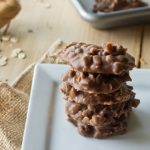 We love soft cookies, especially loaded with chocolate! These are so tasty! YUM!!! 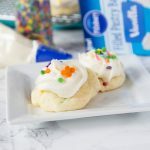 These look so soft and delicious! Love a soft batch cookie. This would be perfect for Christmas cookie platters. This is really a great treat! Can’t wait to try it!